Modern conveniences and I are fast friends. I could not have lived in 1832; I would have figured out a way to have myself preserved until the twenty-first century, perhaps in a pickle jar—like the ones touted in The American Frugal Housewife. I discovered this 1830s-era version of Hints from Heloise via Amazon. It was free for Kindle, and what modern woman doesn’t love free? Besides, I adore Heloise and her hints & tips (or anyone else’s). 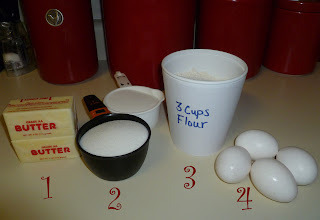 About the time I started devouring Frugal Housewife, I noticed the America’s Test Kitchen “Dish It Your Way” Blogger Challenge, which in its final week featured cupcakes. What had I just read in that 1832 book for housewives? 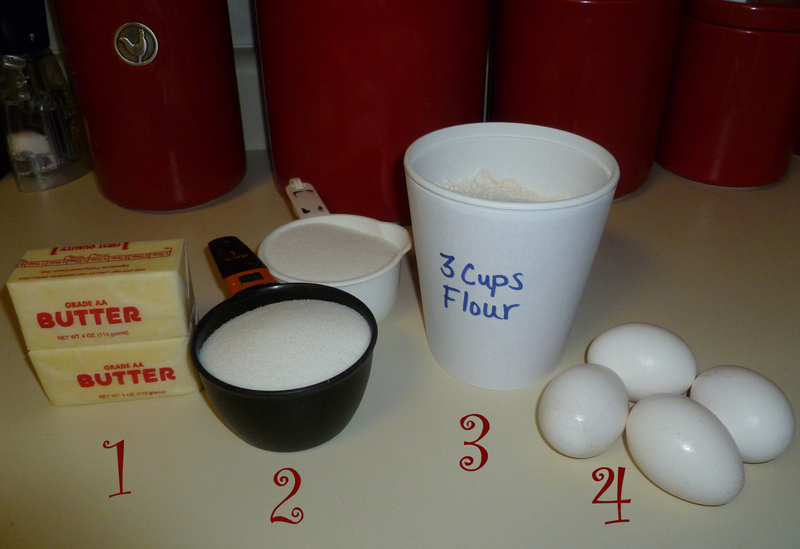 Author Lydia Maria Francis Child’s quaint and simple, but impossibly outdated, recipe for “Cup Cake”! Missing: pan size & (gasp!) oven temp. Back then those frugal gals baked in wood stoves with no temperature controls or gauges. So I was stuck with giving it my best guess. Also missing: any type of leavening agent, like baking soda or baking powder, and any liquid, like milk. Staying true to the time period, I could experiment a bit and toss in a couple teaspoons of baking powder (invented in the early 1800s) and half a cup of milk (around much longer than 179 years). 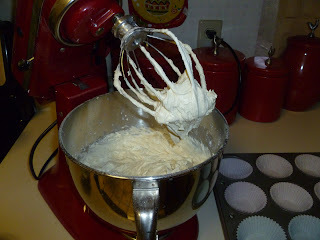 Using an ice-cream scoop, I divvied up about half the batter into cupcake wrappers. The other half I reserved for another experiment: chocolate. I added 1/4 cup of cocoa powder, turning the batter a rich, milk-chocolate color. That would have been the norm, 179 years ago, before our current fascination with dark chocolate. Guessing at a moderate oven temperature, I put the regular, non-chocolate cupcakes in at 350°. As directed, I checked them at 20 minutes. 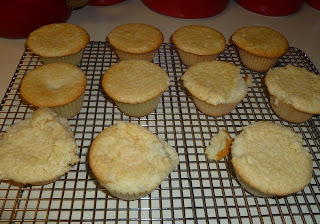 They hadn’t risen much, just cresting at the tops of the muffin cups, but they were a light golden brown. Time to come out. I couldn’t resist tasting: Wow! Light, delicate, not airy or spongy, but delicious. And crumbly: only six of the 12 came out of the pan clean. I reserved the prettiest six for frosting. Next up: the chocolate cupcakes. I like chocolate as much as the next woman (in other words, heaps and loads), so these would be a rich treat. I’d been limiting myself for weight-loss purposes, but “challenge” recipes don’t count. They must be tested, tasted, consumed, and devoured. Oh, the loveliness of chocolate cupcakes coming out of the oven. The aroma, the anticipation… Oh, the bitter disappointment of what happened shortly thereafter. I set the pan aside, cleaned up the kitchen, and returned to them after about ten minutes. Cooling time. And sinking time, too—not a single chocolate cupcake had risen to the occasion. The little 8″x8″ chocolate cake I had baked at the same time, with the extra batter, came out just fine. 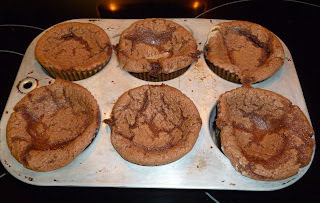 The six chocolate cupcakes were a sunken, dreary mess. Nothing to salvage there. Believe me, I tried, but the batter just wasn’t cooked through. Bummer. I guess I didn’t leave them in long enough. If I tried this recipe again, I’d bake the chocolate cupcakes for 25 minutes. 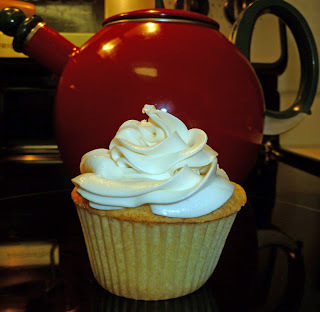 Here is the final result, the crowning achievement of the “Cup Cake” experiment: one perfect cupcake, crowned with vanilla whipped-cream frosting. I like the boxed kind sold by Wilton (so easy—you only add ice water). OK, I cheated on the frosting. I was in a hurry. At the end of my evening of experimentation, I came away with a couple of thoughts: first, I’m more inclined now to bake a cake from scratch. Before, every cake in my kitchen came from a box. But with a few simple, wholesome (please don’t argue with me) ingredients, I discovered I could have a delicious treat. Second, the proportions of ingredients may make a difference, and a little more baking powder or a touch of salt may have helped the cupcakes to rise more, but the fun of this recipe was in the imagining: seeing myself in 1832, slaving away in a hot kitchen in Arizona’s summertime without air conditioning, and then realizing that I live in 2011 with the benefits of a cool kitchen, a lovely stand mixer, and an oven with an accurate temperature gauge. I am more privileged than the wealthiest woman of Frugal Housewife’s time. And I’m very, very glad.